The bell rang, all the students started leaving the schoolyard to return to their classes. I did not want to go back to my class. It is because I was enjoying a wonderful and a fun time with my new friends. We left the schoolyard and returned to the class and fortunately my new friends were with me in the same class. They left their old places and came to the front seats to sit next to me. Our art teacher entered the class. I did not like art classes because I am not good at all in it, but I always try my best. The teacher asked us to divide into groups but she did not tell us exactly how many students should be in a group, but it is important that the number does not exceed five students in one group. 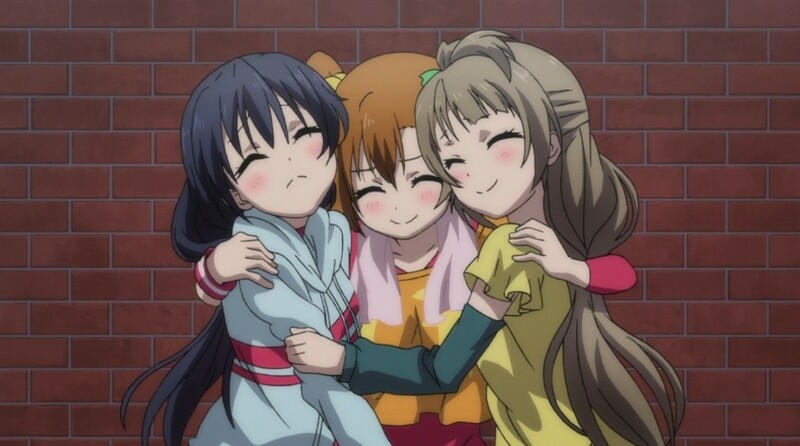 And because I did not know anyone in the class except Yumi and Kotori, I asked them to be with me and they agreed without hesitation. She asked us to draw anything and the group that draws the best will get three stars to hang it next to their names on the paper in the class. We divided the jobs into my group so we can finish quickly. I and Yumi chose to color and Kotori chose to draw, we discussed the subject of the drawing and finally, we found a very wonderful idea. Kotori finished the painting, she painted it so beautifully that I could not believe that it was painted by her. Yumi and I started coloring immediately. We finished painting, our group was the first to finish. We gave the teacher our drawing and she was very impressed. She told us to wait until the principle come and choose the best painting when all the students finish. We returned to our seats waiting for all the students, and as I waited I was thinking about my new friends and how fortunate I was to be their friend. Kotori is a wonderful and beautiful girl who cares for herself and loves cleanliness so much and she is great in painting. Yumi is a strong girl who is not like the other girls, she has learned Karate arts since she was young and now she is professional in Karate, as she does not care what others say about her because she has a strong personality. Suddenly the principal entered on us and she was with that girl who fought with Yumi and Kuturi at the time of the break, I was surprised by the reason for her presence with the principle. I looked at the girl as she jerked her head arrogantly but I did not care about her because the principle was in the class. I was scared to get in a trouble with that girl, so I ignored her. The principle saw all of the drawings, she grabbed our painting and looked at it for a long time. I knew she liked it, so I smiled a little. The principal stood in front of us and grabbed the drawing of the winner group. She flipped the painting to show it to the classroom and that was the painting of me, Yumi and Kotori. Our teacher gave us the stars to stick it next to our names in the class I was very happy but the girl with the principle didn’t, she passed next to me while I was hanging the stars “ I’ll revenge yes I will” she said that with a scary voice. oh just another arranged marriage.....to my friends fiance?